On March 21, 2018, the Supreme Court of Nevada issued an Order amending Supreme Court Rule 49 to provide temporary certification to practice law for attorney spouses of active duty military personnel. The new rule will be effective April 20, 2018. The temporary certification is available to attorneys who are already admitted to practice law in another U.S. state, territory, or the District of Columbia, and who reside or intend within the next six months to reside in Nevada as a spouse of a member of the United States Uniformed Services. 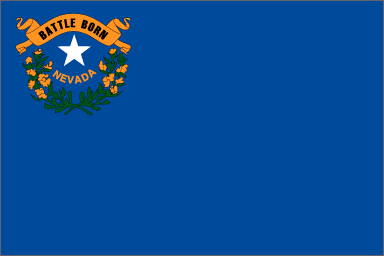 In addition to other requirements, the application requires evidence of the active practice of law for a cumulative total of five years, or a statement signed by the active member of the State Bar of Nevada who shall be directly supervising the applicant or by the department head of the agency employing the applicant. Military spouse attorneys may practice for up to four years under this certification. With the passage of the Nevada accommodation, there are now 30 jurisdictions (29 states and 1 U.S. territory) that have enacted a licensing accommodation for military spouse attorneys. The Military Spouse JD Network thanks Judge Gloria Sturman for her help in getting the MSJDN proposal on the January 2017 agenda of the Board of Governors for the State Bar of Nevada. At that January 2017 meeting, the Board of Governors created a task force to study the proposal for military spouse attorneys as well as reciprocity in general. By November 2017, the Board of Governors had a proposal regarding military spouse attorney certification and submitted the proposal to the Supreme Court of Nevada. A public hearing on the proposal was held on February 6, 2018, at which the value of Nevada’s military community was emphasized. MSJDN is also grateful for the efforts of military spouse attorneys Cristina Olson, Michelle Richart, and Lauren Kaufman, who led the Nevada State Licensing advocacy. MSJDN member Amy Rose testified in support of the proposed military spouse attorney licensing accommodation as well. Thanks to their hard work, another state has lessened barriers for military spouses in the legal profession.